Garamuddle: When is a 16th-century typeface not a 16th-century typeface? Looking at the pre-19th-century typefaces that are still in widespread use today is a little like visiting a modern re-creation of an Anglo-Saxon village. If you ignore the aircraft passing overhead you can easily imagine yourself back in the first millennium. But however absorbed the inhabitants seem in their daily tasks, you know that at the end of the day they will take off their coarsely woven garments, slip into some Lycra, and head home, probably picking up a takeaway and video en route. However convincing it all looks, in reality it's an elaborate fake. And that's just how it is in the world of type. You may think you're working with actual letter forms drawn in the 16th century, but they're actually a 20th-century re-creation based on the originals, or what were thought to be the originals. It can get confusing. Plantin was based on a face cut by the French type designer Robert Granjon (working 1545-88); the printer Christopher Plantin himself never used the original source type. Janson, designed in 1937, is named after a Dutchman, Anton Janson, who had nothing to do with the face at all; the design was inspired by the work of the Hungarian Nicholas Kis (1650-1702). The various versions of Baskerville are all 20th-century work; the earliest one was not even based directly on Baskerville's type, but on what came to be known later as Fry's Baskerville, a piece of 18th-century intellectual piracy. In 1924 George Jones designed a face for the Linotype company which he called Granjon, but the design he used as inspiration turned out to be the work of Robert Granjon's fellow countryman and contemporary Claude Garamond (c. 1500-61). And the typefaces that bear Garamond's name — well, as the saying goes, fasten your seat belts, it's going to be a bumpy ride … . Garamond had long been regarded as one of the type designers par excellence of the century that followed Gutenberg's invention of movable type. Using Aldus Manutius's roman type as his inspiration, Garamond had cut his first letters for a 1530 edition of Erasmus. It was so well regarded that the French king Francois I commissioned Garamond to design an exclusive face, the Grecs du Roi. Although Garamond's typefaces were very popular during his lifetime and much copied, as for many of the early type designers the work didn't bring him much financial reward. When he died, his widow was forced to sell his punches, and his typefaces were scattered throughout Europe. 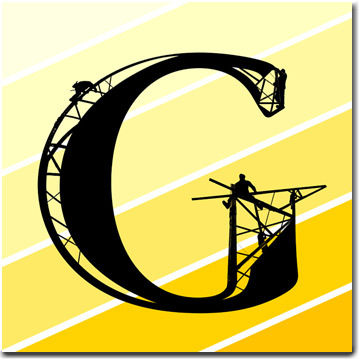 Garamond the typeface gradually dropped out of sight, to disappear for nearly two centuries. In the 19th century the French National Printing Office, looking for a typeface to call its own, took a liking to the one that had been used by the 17th-century Royal Printing Office, operating under the supervision of Cardinal Richelieu (1). Richelieu called his type the Caractères de l'Université, and used it to print, among other things, his own written works. The 19th-century office pronounced the face to be the work of Claude Garamond, and the Garamond revival began. But it was only after the First World War that the bandwagon really picked up momentum. Suddenly every type foundry started producing its own version of Garamond. American Type Founders (ATF) were first, and then in 1921 Frederic Goudy offered his interpretation, Garamont. Monotype in England brought out theirs in 1924, and Linotype replied with Granjon. There were yet more versions on the market by the onset of the Second World War, most notably Stempel Garamond by the German foundry of that name. Beaujon wrote an article about the Garamond faces for The Fleuron, an English typographical journal. The pages had been proofed and the presses were ready to roll when Beaujon, visiting the North Library of the British Museum to check some dates, happened to glance at one of the items in the Bagford Collection of title pages. And there was the source type for all the 20th-century Garamonds. Except that this typeface wasn't by Garamond at all. It was the work of another Frenchman, Jean Jannon (1580-1658), a 17th-century printer and punch-cutter. As a printer he was unremarkable, but as a designer and punch-cutter he was unparalleled, cutting the smallest type ever seen, an italic and roman of a size less than what would now be 5pt. Frequently in trouble with the authorities for his Protestant beliefs, Jannon had eventually found work at the Calvinist Academy at Sedan, in northern France. Cardinal Richelieu's early years of office under Louis XIII were spent in a power struggle with the Huguenots, the French Protestants. An effective way of hastening their eventual submission was to remove their means of spreading information, and the government paid the academy a visit. Among the items confiscated in the raid was Jannon's type. Although Richelieu took exception to Jannon's religious affiliations, however, he liked his typography so much that his face is the house style for the Royal Printing Office. Following a swift trip to the Mazarine Library in Paris to compare impressions with their Jannon specimen book, Beaujon's original feature was pulled in favor of a new one revealing the true source of the "Garamond" faces. It was hailed as a masterly piece of research, and the Monotype Corporation of England offered him the job of editing their in-house magazines. But the twist was that Beaujon, like the Garamond typefaces, was not at all what he appeared to be. Reprinted from Type: The Secret History of Letters, by Simon Loxley © Simon Loxley. Published by arrangement with I. B. Tauris & Co. Ltd.
1. Armand Jean Duplessis, Cardinal Richelieu (1585-1642), chief minister to Louis XIII, and effectively ruler of France for the last two decades of his life. 2. The Australian Henry Lewis Bullen (1857-1938) was publicity manager of American Type Founders and assembled their formidable typographical reference library, both to preserve the resources of the small American foundries driven into extinction by the creation of ATF, but also to provide invaluable research material for the company's own type revivals. Following ATF's financial problems in the 1930s the library was sold. Most is now in the Columbia University, New York. 3. The Monotype Recorder, June 1970. This article originally appeared in Issue 6, May 2006. Simon Loxley, typographer, designer, and teacher, lives in London. The Secret History of Letters is his first book. Buy Simon Loxley's books through Amazon at the LOST Store.